Ablution's (Wudhu) method, Learn how to make ablution and all its Masa'il. 1. 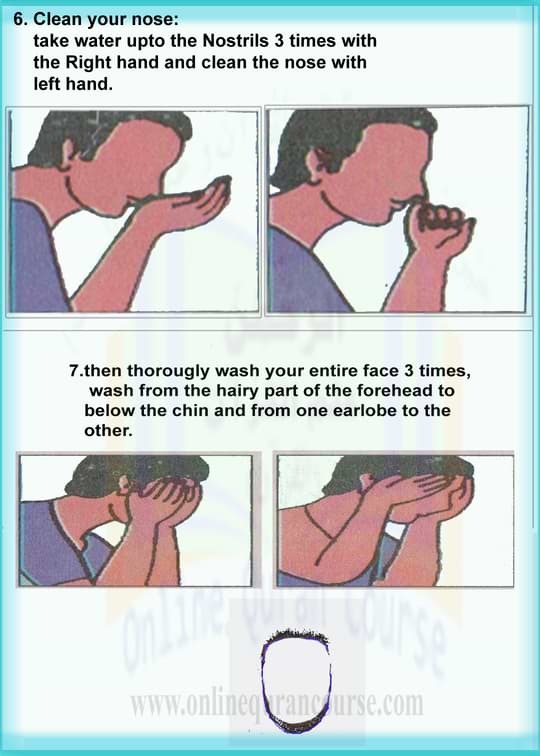 Washing the Face from the Hairline to the Lower portion of the Chin and from one Earlobe to the other once. 2. Washing of both the arms including the Elbows once. 3. 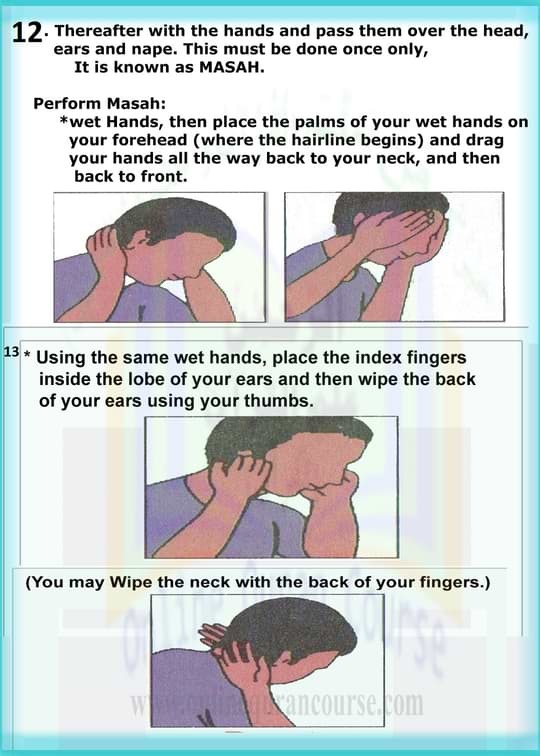 Doing Masah (wiping or rubbing) of a Quarter of the head once. 4. Washing both the feet including the ankles once. Note: If any of the Faraa’id (plural of Farad) is left out or a single hair is left dry, the Wudu (ablution) will be incomplete. 3. Washing of the hands thrice up to the wrists. 4. 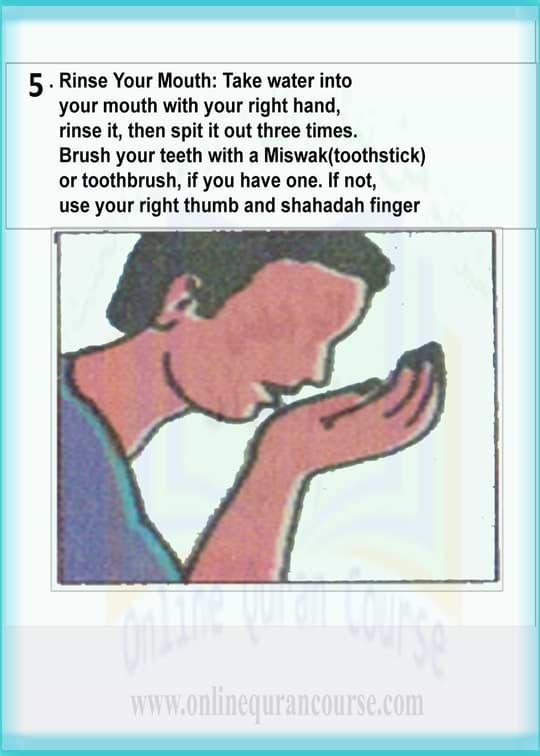 Brushing the teeth with Miswaak. 7. Khilal i.e to pass wet fingers into the beard. 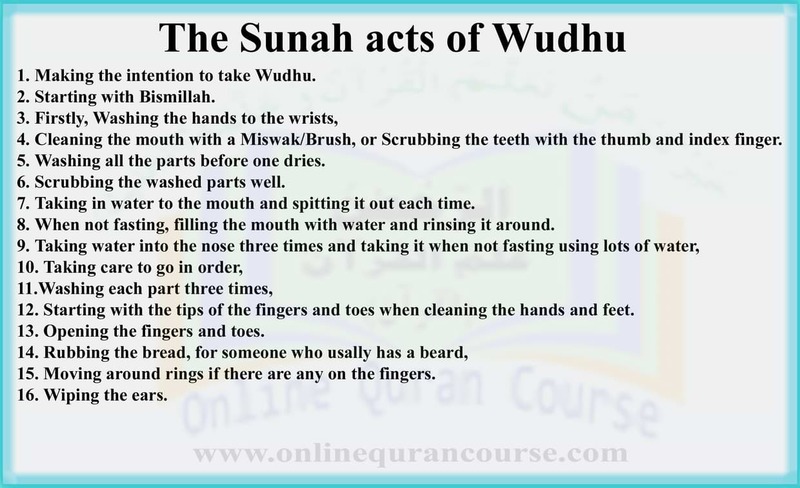 Note: If a sunnah is left out, the Wudhu is complete but the full sawaab (reward) of Wudu is not gained. Discharging of Urine, Stool or anything from the Private Parts. To fall asleep lying down or by resting the body against something. To faint due to some illness or any other reason. Become Insane or go Mad. Following blood or Matter from any parts of the body.